Making the right investment for the future, especially given the current economic climate, has in recent years, become more important than ever before. 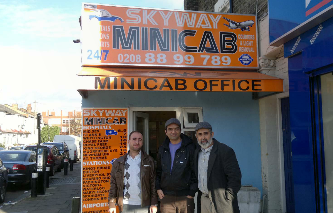 That’s why Skyway Minicab have chosen to invest in Autocab. To provide a sound investment for the future. Skyway previously operated without a computerised system and were finding it difficult to recruit drivers and provide the level of service that they and their customers demanded. After consulting a friend, who also operates a taxi firm using Autocab, they decided to invest and install Autocab’s latest Ghost booking and dispatch software and PDA’s. Compared to not having a computerised system, Autocab brings a whole range of benefits. Superior booking and dispatch capabilities are the first and most noticeable which is many times faster than any voice system. Fleets are managed with GPS and jobs are intelligently dispatched to the best available taxi so saving on fuel costs as there is less dead mileage. This is also better for the environment. Drivers can typically expect to earn around 25-30% more which is a magnet to attract more drivers and so expand your business.